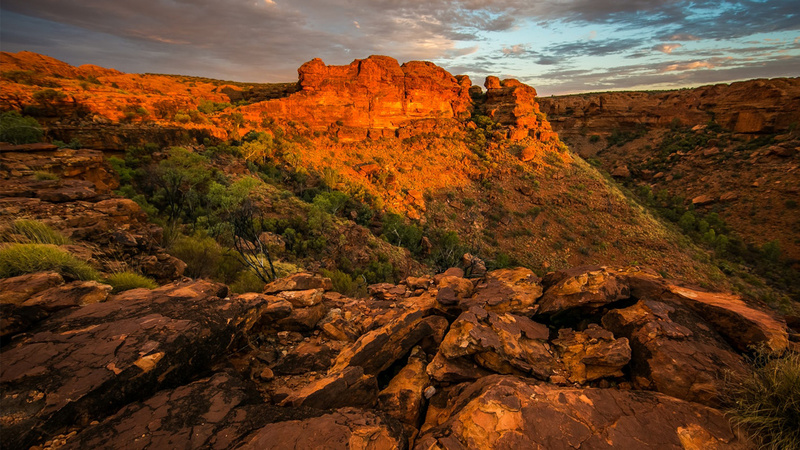 Australia has no shortage of picture-perfect natural landscapes that are just waiting for a filmmaker to find, capture and share with the world. Here are five iconic Australian films that do just that. A road trip like none other, Stephan Elliott’s Priscilla has become a cultural landmark in Australian cinema. Following two larger-than-life drag queens and a transgender woman’s adventures from Sydney to Alice Springs, the film is a fabulous advertisement for the versatility of our land and people. One of the first Australian films to have positive portrayals of the LGBT+ community, Priscilla has been celebrated for its influence on the importance of representation to mainstream audiences. Featuring knock-out performances from Australian acting royalty including Hugo Weaving and a fresh-from-Ramsay-Street Guy Pearce, the film stuns as a colourful, yet deeply touching message of hope, belonging and identity. With the tunes of ABBA and Gloria Gaynor fused with the picture-perfect Australian outback, the film is a stark contrast to the rugged and hyper-masculine movies that came before it. Gallipoli is a film almost every Australian has seen at least once in their life. Whether it was in history class or a late-night viewing on television, the film has been ingrained in our culture like vegemite and sausage sizzles at Bunnings. Featuring a young Mel Gibson as an ambitious soldier, the film depicts the tense atmosphere of Australia before World War I. Portraying the complicated nature of war and its effect on the Australian people, Weir’s film has become a beloved national representation of courage and dedication to our country. The heavily detailed and graphic depiction of the journey towards war is a sombre reminder of our past and history, and in many ways is an ode to Australia’s heritage, representing the often disturbing and devastating nature of war. Featuring outstanding performances and beautiful shots of rural Western Australia, Gallipoli is a significant stamp on this nation’s contribution to filmmaking. Winning six Academy Awards, George Miller’s Mad Max: Fury Road is a fiery reminder of how Australians make great films. Although it wasn’t filmed in Australia, it does a great job at depicting a post-apocalyptic version of the country. Featuring eye-popping set-pieces including giant, spiked war tanks and a mobile amplifier featuring a flame producing guitar player, the film depicts portrays Australia as an industrial wasteland with scorching hot deserts and jacked-up warriors who have a penchant for destruction. Like all of Miller’s films in the series, it is an impressive reminder of this country’s serious passion for action. With Tom Hardy and Charlize Theron at its helm, Fury Road roars to the finish line as one of – if not the most – seminal action films of our time. Who would have thought that a film about an airport being built could be exciting? Proving otherwise, Rob Sitch’s The Castle, unlike many of the other contenders on this list, is a simple reminder of the subtly and charisma of Australian comedy. After the government decided to expand Melbourne’s Tullamarine Airport onto their property, the true-blue Kerrigan family have to decide whether to take a stand or lose their beloved family home, a suburban castle with a fantastic pool room and constant renovations. Patriarch Darryl, played by Australian acting legend Michael Caton, must work to keep his family home with the aid of a quirky lawyer named Dennis and his sons Dale and Wayne. Marking a distinct shift away from action and explosions, The Castle is a strangely captivating depiction of the mundanity of suburban living. It boasts no frills or big budgets, but has an amazing sense of heart and enough knowledge of the nation’s idiosyncrasies to make any person laugh out loud. Capitalizing on the popular gore genre of the early 2000s, Wolf Creek is a frightening advertisement of the beauty of our lands – and some bloodthirsty locals. Depicting excited British tourists on a whirlwind adventure of the outback, the film is immediately interrupted by the arrival of a ‘stereotypical’ Aussie larrikin, Mick Taylor – played by the charismatic and hypnotic John Jarratt. From then on, director McLean makes sure to feature just enough blood and guts to make the best of us recoil in fear and disgust. Heavily featuring the beauty of South Australia, the film embarks on scaring, while simultaneously enthralling, audiences into the wit and wonder of this great land. Culminating in a sequel, TV adaptation and book series, the film’s gory methods have proved successful, with the franchise becoming more and more popular to horror fans around the world. Vote for your top 3 Australian films #YOUMUSTSEE for a chance to win a gold pass to this year’s Adelaide Film Festival!